Stelpur rokka! (Girls Rock! Iceland) is a music camp for girls that provides an empowering platform for young girls to enter the music business. Girls Rock! Iceland are throwing a massive party for their 5th year anniversary, on April 22nd at KEX Hostel, Skúlagata 28, Reykjavík. Stelpur rokka! (Girls Rock! 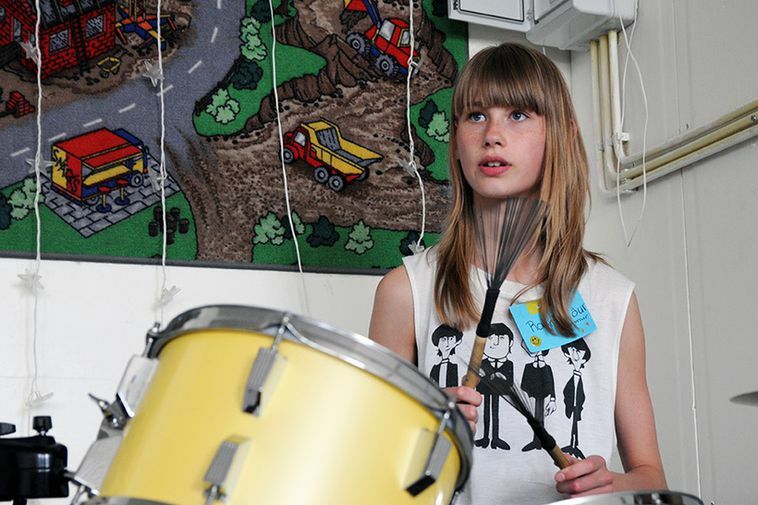 Iceland) is a music camp for teenage girls (aged 12- 16) that provides an empowering space for girls to learn an instrument, play in a band, and let their voices be heard in the Icelandic music scene. Girls Rock! Iceland is part of the international Girls Rock Camp Alliance, a movement that is changing the lives of young girls around the world. From 2pm - 8pm at Kex Hostel tomorrow there will be a drum circle, youth workshops, live bands, birthday cake, a pub quiz, DJs, and more! Come and support a mission of empowering girls and trans youth through music-making and social justice education. Tomorrow's party will welcome all ages, admission is free and the venue is wheelchair accessible. Expect live performaces from Hellidemba, Gróa, RuGl, Soffía Björg & Sóley.